Value Investing » Investment Terms » What are Undervalued Stocks? 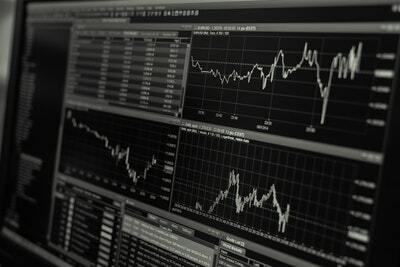 Undervalued stocks are the stocks that can be purchased at prices that are below the intrinsic value of the stock, as calculated by the investor in question. A stock that is deemed undervalued by one investor may not be considered undervalued by another investor. It is important to keep in mind that the valuation processes and philosophy still tends to be individual specific – even if the investors’ all may use similar tools and methods to value the stock. How do You Find Undervalued Stocks? There are several well defined methods that aim to gauge the level of undervaluation in any given stock. For example, stocks that have a price to earnings ratio below 15 might be considered undervalued. Or the stocks that have a price to book ratio below 1 may be considered undervalued by the market. Some other similar methods also exist that use Cash Flow, current assets or one of the many other indicators. On the other hand, classic value investors tend to emphasize the balance sheet as a more important financial statement. Book value comes from the balance sheet (total book value formula), and the P/B ratio indicates how highly the investors value the company’s equity. Any stock research starts out with running different stock screens. There are free stock screens available at Yahoo Finance, Google Finance and other financial portals. Your broker (what is a stock broker?) should also have their own screens that are more fully featured and provide greater data accuracy. Step 3: For the few stocks that have survived your first 2 passes of due diligence, you will deep dive into their business. This step takes the longest time. Be prepared to fetch the annual and quarterly reports and review them line by line. Have a calculator or spreadsheet on hand so you can run the numbers as you are reading the financial statements. At the end of this review, you will know the business the company is engaged in intimately, and you should have your finger on the pulse of the business. In the very best cases, you will also be able to articulate the management strategy in the future. What happens when a stock is undervalued? An undervalued stock can persist in its undervaluation for years. Often if this carries on for too long, the stock is termed as Value Trap, and then the investor tries his best to move off the stock. In most cases though, the stock market may soon discover its error in underpricing the stock. This means other investors find out about the stock and come to a similar valuation judgement. As new investors come in, the price of the stock rises. The stock price increase in turn attracts other investors, who may invest for reasons other than valuation. At some point the stock price is fairly valued or even richly valued. At this time, the early value investor may consider exiting the stock and booking his profit. There is also a possibility that a competitor or a new entrant in the industry decided that the stock price is attractive for them to acquire the entire business. We have had this happen to a large number of stocks that we have held in the VSG Premium portfolio. These acquisitions happen at a premium to the current stock price, but they are not always enough to satisfy the value investor who might consider the offer to be a low ball offer. In one of those cases, we held on to the stock believing that the shareholders will push for a better offer, and this came to pass. In most other cases, the deal is already agreed upon with the management and a better offer may not come. Still, a profit is a profit and the capital can be better used in a new issue. How to Succeed in Value Investing?